Finding the correct drivers for your computer can be difficult. 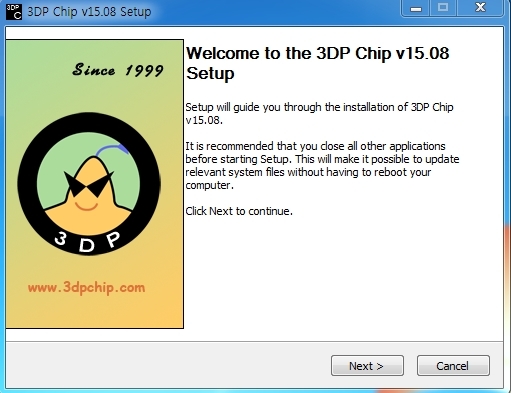 Program that I'm going to introduce is called 3DP Chip and 3DP Net. 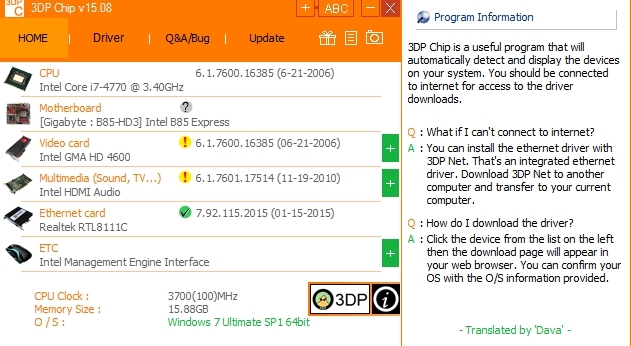 3DP Chip searches through your computer and automatically detects correct drivers you need and supports links to the download location. 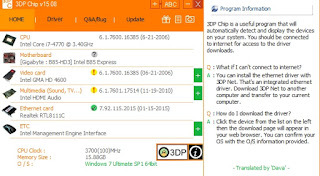 If your computer's internet doesn't work download 3DP net first. Installation Finished. Click on ABC button on top right to change the language. 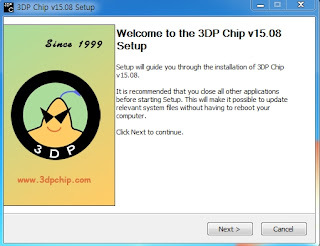 Start downloading Video Card, Sound card, Internet Card Drivers by clicking it. There is + button next to them if you want to download something else from default. For video card drivers (if you have Nvidia, AMD, or other brand Graphics Card installed) click on + button to download your drivers. 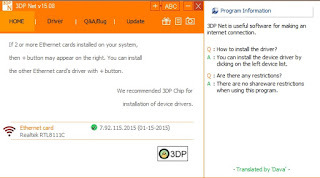 If your Internet does not work you need to Install 3DP net. 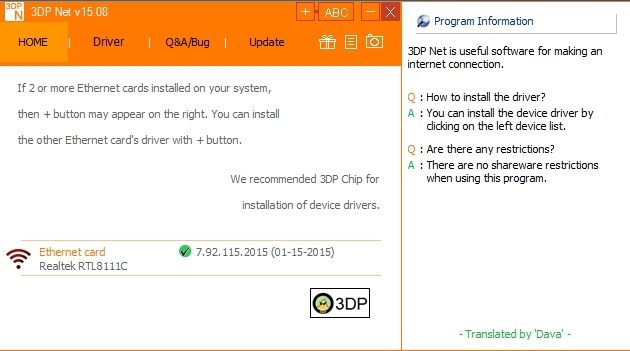 Download 3DP NET and move it with a USB to your computer, since your Internet doesn't work. 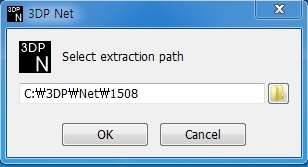 Then it will start extracting to your computer. 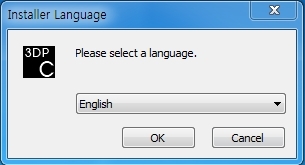 Change the language by clicking ABC on top right. Click on Ethernet Card to start installing. Always Click on Read More to see more about it!